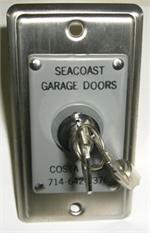 Easy entry into your garage door during loss of power! The outside disconnect device disconnects from the operator using a mechanical device. No need to worry about a battery or complicated instructions. Simple to operate! Outside disconnect device is key operated from the outside of the door. Unique key is easily recognizable on your key ring! 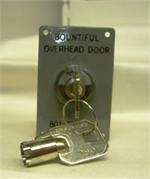 Recommended for Condominiums , Multiple Dwellings and anyone desiring a more secure keylock. 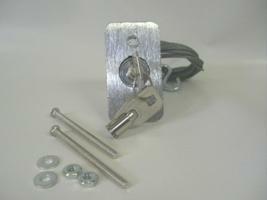 Virtually pickproof electrical key switch (when installed according to manufacturers directions) to operate garage door operator. Order a disconnect to match and receive a discount on D-VP! Remember to order extra keys!